Zucchini flowers at our local farmers market. We went for a stroll through the back streets of Lectoure, a very ancient city which was settled and fortified in the Iron Age. 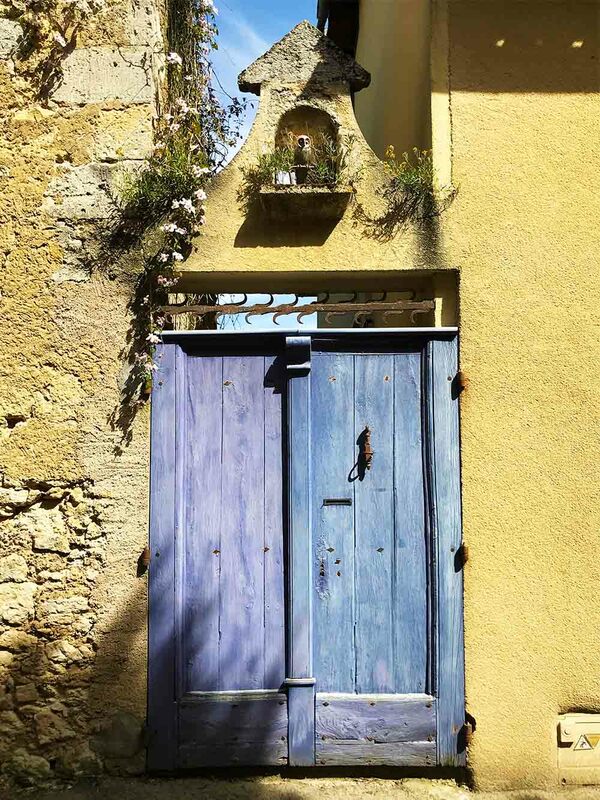 I loved this rustic lavender front door, set against the limestone walls. 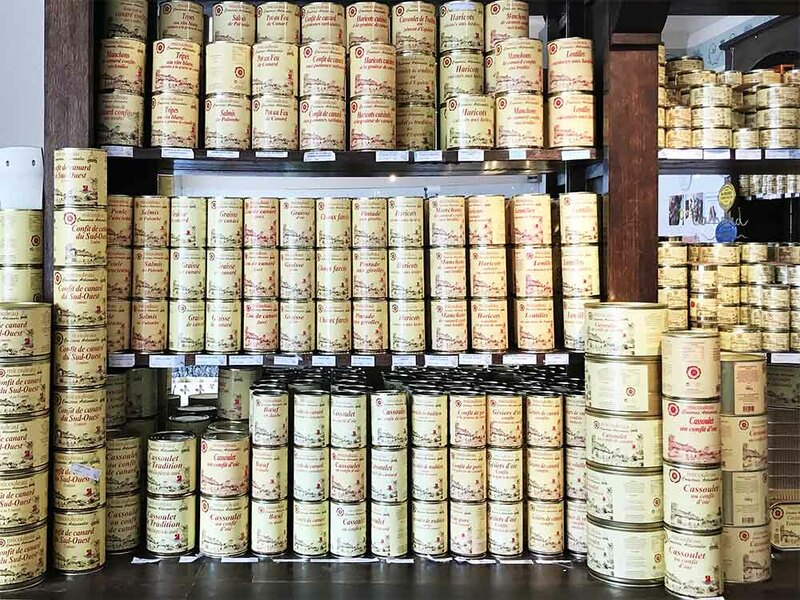 We discovered a new 'charcuterie' shop with rows and rows of regional delicacies made locally and sold in these tins. Everything from cassoulet to confit de canard. A very delicious Parmesan soup with Jamón serrano and lavender at Le Vic de Lomagne, one of our favorite restaurants in a neighboring village. A dramatic trompe l'oeil mural. Not something you see everyday in the French countryside! Have you seen The Disaster Artist? Directed by, and starring, James Franco, this tragicomic had us hooked. I love a true story, and this one is so bonkers it's brilliant. I've been on a major reading binge recently, and really enjoyed this book. It's the story of six remarkable women (Eleanor Roosevelt, Helen Gurley Brown, and Eva Braun, to name three) from the perspective of their relationship with food. It's intimate, insightful, and novel. There's lots of news about domestic robots but, in case you hadn't heard, the world now also has artificially intelligent plants. Introducing bons-AI. We had family staying this past week and really enjoyed this burrata and melon salad. It's perfect for lunch now that the weather is warming up a bit!